Just west of the City of Milwaukee lies Waukesha, a quiet little town, which had a population of 12,000 in the 1920’s. On March 8, 1921, the citizens were shocked when the body of a well-dressed little boy, about five to seven-years-old, was fished out of the old O’Laughlin Quarry. Everyone assumed he’d drowned. However, the coroner’s report indicated that he’d been murdered, hit on the head with a blunt instrument. The mystery only heightened when no one came forward to identity the little boy. Someone even put up a $1,000 reward for information regarding the boy’s identity, and a local funeral home displayed his body for viewing with the hope that someone would claim him. 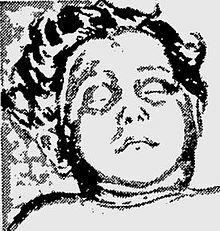 An autopsy sketch of the mystery boy. Because of his expensive clothing and shoes, the boy was dubbed: “Little Lord Fauntleroy” after the character in Francis Hodgson Burnett’s famous children’s novel. The Police concluded that he’d been kidnapped from a well-to-do family in another town, then dumped in Waukesha where no one would recognize him. Minnie Conrad, one of the townspeople, couldn’t bear to see the little boy go into a pauper’s grave so she collected donations in order to bury the boy properly and buy him a modest headstone. He is buried in the Prairie Home Cemetery in Waukesha where Minnie watched over his grave for the rest of her life, bringing flowers and keeping the burial plot tidy. In 1941, she was buried in the same cemetery, not far from the mystery boy. According to those who lived near the cemetery at the time, a heavily veiled woman in red would sometimes be seen placing a bouquet on the little grave. Suspicions arose that she must know Little Lord Fauntleroy’s true identity. But no one ever discovered her identity and, if this woman truly existed, she has taken her secrets to her grave. Five weeks before the boy had been discovered, a quarry employee reported that a couple had stopped by in a vehicle to ask if he’d seen a young boy, and the woman appeared to be crying. No one knows who this couple was. They were never seen again. The case has remained cold since. 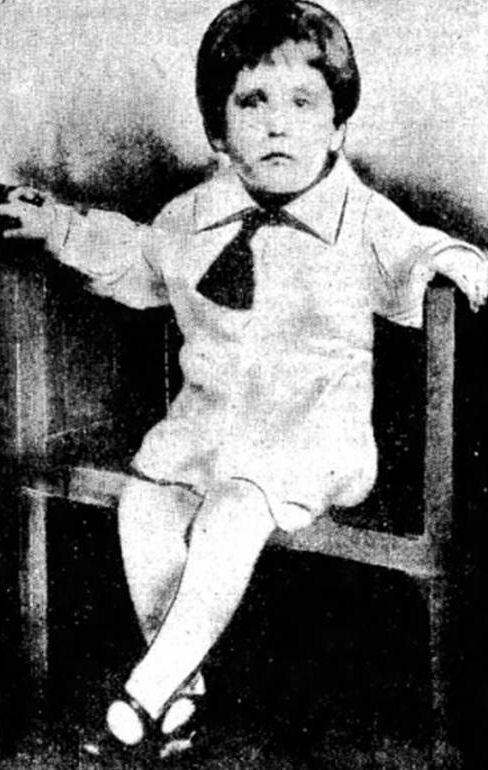 But the evidence suggests that the mystery boy is Homer Lemay, a six-year-old Milwaukee child who disappeared in 1921. Homer’s father, Edmond Lemay, claimed that after Homer’s mother died of tuberculosis in 1919, he’d left his son in the custody of a couple whom he called the “Nortons.” According to Edmond, the Nortons took Homer on a trip to Argentina, where he was killed in a car accident. However, a police investigation uncovered no record of Homer Lemay’s accident or any evidence that the Nortons even existed. Further suspicion would surround Edmond Lemay in 1948 when his third wife mysteriously disappeared. In fact, he faced criminal charges following her disappearance for forging her signature on some payroll checks. 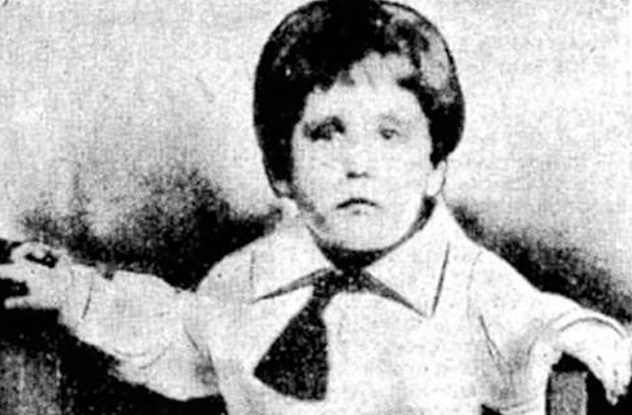 However, no definitive evidence was ever found to connect Homer Lemay to the Little Lord Fauntleroy case, so the mystery officially remains unsolved nearly a century later and theories abound. I decided to take a psychic peek to see if I can shed any light on this mystery. I’m conducting my vision at my desk while my hands are on the keyboard–something I’ve never done before–so that I can type out all I see as I see it. This way, I can give you a better idea of what I see in a vision, and I won’t forget any details. I’m in a house in a fancy parlor with lots of expensive furniture and a huge fireplace. The walls are pale. A wild navy colored carpet with a red, blue, and yellow leaf or floral pattern covers the floor. Overall, the vision is somewhat blurry. Now, I’m walking down a long hall, the same carpet covers the floor, and there’s an ornate stairway at the end of it, which faces away from me–I must be at the back of the house, because the stairway would be at the entry way. I see a slim man in a dark suit, neatly dressed, with short hair. He has an immaculate appearance. His face is long, and his eyes are dark. He looks young and then he looks old. He’s at a desk before a typewriter or other machine–maybe it’s a sewing machine. I can’t make it out too well. The scene shifts. I see this man in a bathroom with an old style sink and tub, then the view of a long hall again with the wild rug. I briefly see what appears to be a fancy public building of brown stone. It has a circular stone entry. I strain to see the address or writing above the door but can’t make it out. I’m in the main hall of the house again, before the grand stairway. To my right is that grand parlor I’d seen earlier. I look up and see the same man on the second floor landing, pacing. Above him, the wall is covered with trophies–these indicate success. I think he’s highly respected, maybe in politics or law. Or maybe he’s a businessman or public figure. I turn. My eyes follow the long hall. A room with an open door at the end of the hall seems to call to me. I move toward it to find a bathroom. Was this where the child was killed? Maybe. This area is significant as I’m continually drawn to it. I suddenly see a small and simple house, an old woman is brought out in a wheel chair. I can’t see her caretaker. Autumn leaves are all around. Then I’m in the woods, misty woods. The man is walking through them. He carries a bag with the boy’s body–I wonder how it can fit in there. The terrain becomes rocky. He stands at the summit of a cliff that overlooks water below. The walls of the terrain are striated as if carved out in longitudinal lines. I shoot back to the mansion where three people stand before the fireplace in the grand room. I can’t make them out but one has a red and white stripped sweater, and I believe they’re all women. I briefly get a view of the interior of a cathedral–I don’t know why. I return to the woods where the man stands on the hill. He throws the body over the side. I briefly get a flash of another man, burly, overweight, with long, wavy reddish hair, a mustache. He’s about forty. I don’t know who he is or what his part in this is–perhaps he witnessed this event and never told anyone. I see the boy’s dead body lying in a rocky cove or cavern-like area on a thick bed of leaves, more leaves are all around him. I’m guessing that the water washes his body out from his resting place during the spring thaw as he was found in March. I’m sure that the man who lived in the big house killed him. I think the boy is his child and is unwanted. I see rock and more rock, a rocky terrain, and it’s like I’m floating along the exterior of rough stone walls that overlook water. I’m back at the mansion. The exterior is red brick and has black wrought iron and trim. Vines grow up the rectangular side of the brick walls. I drift to another scene. An old woman, the one I saw in the wheelchair earlier, sits and cries. I see the boy. and the simple house. Then, he’s sitting outside near the tower of the brick mansion. He cries. Alone. No one comes to his aid. A group of women sit at a table–it seems to be some kind of gathering. They don’t look wealthy. I don’t know who they are or how they’re connected to the boy. The boy is lying on the floor. Naked. He rolls away from the attacker after receiving a jarring blow. He’s on his left side and facing me. I note a glaring injury above his cheek. A hammer with a seemingly long claw falls against him a second time. Now, to put this information together with any data I can find on the case. I primed my investigation toward Edmond Lemay whose story about his son’s death in another country struck me as highly suspicious. Lemay worked at the Milwaukee plant of the American Hair and Felt Company, where he was a foreman–thus the machine I’d seen. The company was a tanning industry, which made gun wadding, railroad car insulation, rug and carpet pads and more. After his first wife died, Lemay found himself alone with a son, who’d supposedly died on a trip to Argentina with family friends. However detectives went to Argentina to investigate the story and could find no evidence to support Edmond’s story. Edmund then married Ruby, a woman he’d probably been having an affair with before his wife’s death. But Ruby wouldn’t find her happily-ever-after with Edmond. While he worked as the director of the West Milwaukee village school board from 1938 to 1943, he met another woman who caught his fancy, Cecelia. In the fall of 1941, he divorced the shocked Ruby, then married Cecelia. The 54-year-old, Cecelia turned up missing on June 15, 1948. Edmond, now 52, wasn’t shedding any tears. He moved to Newark, N. J. ten days after her disappearance, supposedly for a new job with the American Hair and Felt Company. His wife’s former employee, Mrs. Eva Clark, who’d worked with her in the school lunchroom, accompanied him, posing as his wife. When the police questioned him about his wife’s disappearance, he claimed that she’d ran away, but she was never seen again. People who knew Cecelia swore that she would never have left like that as she had a successful business and many valuable possessions, including antiques. Even her beloved Chevrolet was sitting in the driveway. Newspapers detailing the missing Cecelia noted that Edmond was cold, ambitious, opinionated, domineering, and aggressive. One publication mentioned that his eyes were cold and black and that he had an unwavering stare–a characteristic of a sociopath. The Milwaukee Journal interviewed Ruby during the investigation into Cecelia’s disappearance. She revealed that she was still besotted with the man who’d left her eight years earlier, had never gotten over him. The paper noted that during the interview, she had “tears in her eyes” and still had “some love in her heart” for Lemay. Interestingly, investigators found a four-inch stain on Lemay’s bathroom floor, which the police identified as blood. It looks like Cecelia suffered the same fate as the mystery boy and was bludgeoned to death in the bathroom. I suspect that Lemay killed her on June 15 as he’d taken off from work on the 16th, and he probably burned her remains on the 17th when he’d ordered five tons of coal to be delivered to his house. During the investigation, police found the coal bed clean and empty. He’d certainly burned a lot of coal. Clearly, his mistress, Eva Clark was in on the murder. But I won’t go into detail about that. It does, however, show that Lemay had a tendency to indirectly involve his amours in his unsavory activities, and I’ll explain the importance of that later. The circumstantial evidence also reveals that Lemay was a killer, a cold and twisted psychopath who would kill on a whim if it benefited him. Norman’s death benefited Edmond, because Edmond wanted to start a new and unhindered life with Ruby. Sadly, he simply didn’t want the boy. But what really cinched the case for me was the newspaper article that bore Lemay’s photo. That’s the man I saw in my vision. I knew it the moment I saw it. I’m 100% certain that he’s the one who killed Little Lord Fauntleroy, Norman Lemay, his own flesh and blood. So then, who was the lady in red who visited the boy’s grave? I saw nothing regarding the lady in red in my vision, but I know it was Ruby. Her very name gives us a clue. She probably often wore red. What’s more, she apparently harbored some guilt about the boy’s demise and so, under disguise, she would visit his grave. Though I’m certain that she knew that Norman was the mystery boy, I doubt that she was involved in the murder. It’s more likely that Edmond made up some story about the boy’s death, said it was an accident and that they had to hide the body or he could go to prison. I would bet that he told her that he’d taken the boy out to the woods on some kind of exploration and that the boy had fallen into the quarry and drowned or had struck his head. Remember, Ruby was still madly in love with Edmond eight years after he’d left her for another woman. It’s likely that she would have kept her knowledge of the boy’s death a secret to her dying day for Edmond’s sake. And, after the passage of time, even if she’d wanted to, Ruby couldn’t implicate Edmond in Norman’s murder without implicating herself. The couple who’d asked about the missing boy at the quarry were likely also Edmond and Ruby–again the red sweater. The person they’d questioned simply didn’t know them even if it was a small community. The two were merely feigning innocence, acting like they had no idea where the boy was, when, in fact, they both did. Ruby’s tears were real due to the great sense of guilt and despair she felt over the boy’s death. For some reason, Lemay changed the story after the body was found. Perhaps he thought the story about the Argentina accident was more convincing. The sad thing is that this monster got away with murder at least twice. There could well be a trail of corpses in this man’s past that no one knows about. I saw a few other things in my vision that I must explain. Who were the three people in the parlor by the fireplace and why was there a flash of a church? I believe these three people indicate Edmond’s three wives, thus, the church. Who was the red haired man in the woods? I have no idea. He may have been unrelated to the case, a spirit that slipped into my vision. Who was the old woman in the wheel chair? Again, I’m uncertain, but I suspect she was the saintly Minnie Conrad who’d raised the money for the mystery boy’s burial and became his earthly guardian. And I believe the women I saw around the table was a gathering for that purpose. Minnie is the only bright thing in this entire case. Thank God that there are people like her out there. Dear Marie St. Claire. I’m a psychic from Brazil, and I’m 30yo. I love your investigations and I already read them all in this website. I’ve been learning more through your articles, though I don’t feel so strong in order to cope with all energies and things raised by contacts with heavy crimes. I admire your work and I’ll continue to keep checking for updates. When I was start reading I had the same feeling the father had killed the boy and that the woman in the wheelchair could be Minnie. I suppose the red-haired man could be an eyewitness or maybe a wanderer, but it could make him a suspect to tell police what he saw. Greets from Brazil! Thank you for sharing, Nova. I’ll make sure that Marie sees your message.